Who would say that the world is easy? yes, it's not. As we go older we would really appreciate the importance of every little moments in life, time indeed is important. For the past 3 years i have been living as a Christian, born again or what, name it. I thought that living a Christian life would be easy, no, it's not. It's a lot of sacrifice. 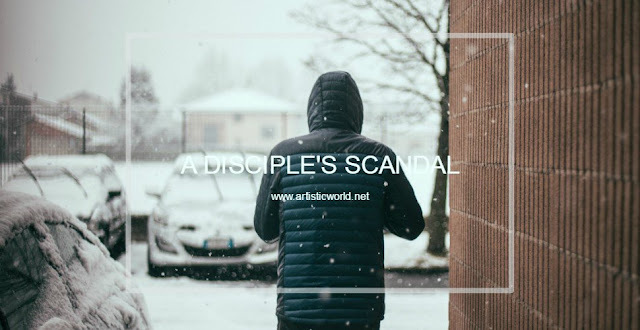 This is not to discourage, this is just to face the reality that discipleship is not easy, that life is not easy that even Christians do stumble down and dig their selves into the deepest core of earth when troubled. I became a Worship leader, i became our church's youth president, i became a cell leader, these tasks came so fast that even my personal life has to be set aside in order to give time to ministries and to people, for young people. Everyone thought that these tasks are cool, singing on the stage in front of the congregation, planning, thinking nights, dealing with stubborn people, learning to love those that doesn't worth loving, thinking for their future for the ministries though they not see it or perhaps don't appreciate it, but hey, it's not! FACT! Sometimes, people would condemn you, question your decisions, tell you what to do, look and will judge you, they don't see what your plans for them but all they have you for return would be questions. They would measure your spirituality, will compare their's and your's, no mistakes, you can't be weak, people look at you. YOU ARE A ROBOT? AM I? Now that makes me think, we are like that, we are stubborn from God's plan and his timing. We are impatient, we lose hope, we are discouraged because we can't see His purpose. However, no regrets. Ha! I AM BLESSED, those troubles became my strength, love even more, love more less myself, control my temper, my desires, fleshy desires, laugh my challenges, it made me even a great person! Challenges in life may come but don't forget to pray and ask strength from the Lord, you'll surely overcome it!. "Challenges in life may come but don't forget to pray and ask strength from the Lord, you'll surely overcome it!' God loves sinners - He'll pick us up everytime we fall. Pray and believe, faith will move mountains. Everybody has their cross to bear, if only we all have the strength to carry them. Just to answer the question you posted on my latest post, "Ano yung PBO?" We're a group of bloggers who try to help other na may pangangailangan like elders in homes for the aged or orphans, underprivileged children by doing some outreach/charity work. Hope you could join us if you are interested. Thanks. Doing our best to live in the moment and to appreciate what we have helps so much. Thank you so much for sharing, great post. The course of one's spiritual journey is definitely never an easy road. It has been a struggle, even for myself, to give up the usual things, particularly those that satisfies our self-happiness and contentment. But come to think of it, happiness can only be found in Christ. Though it may be a rough road, the generous Lord promises better and more brighter than we could ever have. Struggle it may be, but a bright light is heading our way towards us, the light that is Jesus. We are blessed, yes we are, yet pople tend to use this statement for granted. Blessing comes with a commitment, a pact with the Lord. Jesus even struggled more as compared to us. The matter is, we are blessed because we are overcomers of our daily struggles. We cannot be called blessed if we haven't exerienced the power of God who made us strong in facing struggles. Hi, very interesting post thanks for sharing. Can I contact your through your email. Thanks!